Ilam FM is the pioneer community radio station of Mechi Region. It holds the history as a first local radio station of Ilam district which is launched on 31st Baisak 2064 by Mai Pokhari Communication Media Co-operative organization Limited after its establishment in 2063 B.S. 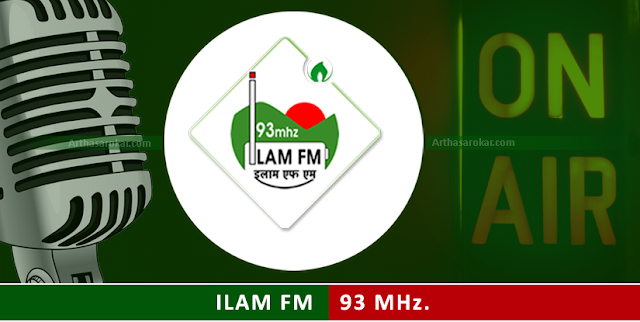 Ilam FM is located in Ilam Municipality Ward no. - 2, Shikarnagar which has its contact office in the heart of Ilam bazaar that is in Ilam municipality Bhanupath and in Annamnagar, Kathmandu, Nepal. The transmission capacity of Ilam FM is of 500-watt capacity having excellent coverage in eastern region of Nepal and some part of India like Darjelling and Sikkim. Every week 267 programs are aired with a varieties of local languages with local flavor. It has 30 radio listeners club formed in different part of our coverage area. Programs are being aired on 93 MHz. It is currently on air for 18 hours from 5 AM to 11 PM. Our programs are focused on social development related topics, entertainment and commercial advertisement to cater to the tastes of the wide choice of listeners. We are a local station catering to the tastes and likes of the local listeners. We broadcast news partnering with BBC Nepali Service, Communication Corner and Samudayek Radio Prasarak Sang like wise Ilam Khaber (Ilam News) our daily local, national and international news is broadcasted producing from our station with Nepali, Rai and Limbu Languages.